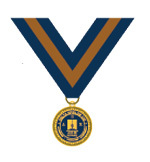 To encourage and recognize graduating seniors and alumni from among the accredited institutions of ABHE who have distinguished themselves by: Intellectual Achievement … Christian Character … Leadership Ability. The three Greek words translated approved in Christ, (dokimos en Xhristos) found in Romans 16:10 begin with the three Greek letters, delta epsilon chi, and thus the name and meaning of the ABHE Honor Society. Nominations must be made by the faculty at the beginning of the final semester before graduation and may include both scholastic and honorary members. 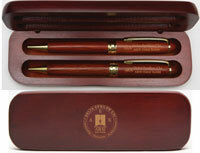 Each institution is allowed to nominate at least one qualified graduate for membership in each category. 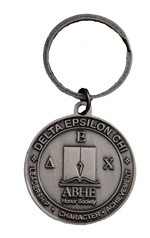 The three Greek words, approved in Christ, (dokimos en Xhristos) found in Romans 16:10, begin with the three Greek letters, Delta Epsilon Chi, and thus the name of the honor society. The English word most often translated approved, from the Greek word dokimos, includes the concept of being both tested or tried as well as approved. This root idea is expressed in the honor society criteria of Christian character, the foundation for spiritual leadership. In the Romans passage, dokimos is related to Christ – approved in Christ; in the II Timothy passage, it is related to God – approved unto God. Both expressions capture the heart of Christian character development that is at its core, Christ-likeness. Distinguished members of the Delta Epsilon Chi honor society are approved in Christ and unto God. In the Timothy passage, approval is specifically related to “rightly dividing the word of truth”. This is a unique outcome intended for every Bible college course of study and is the foundation for biblically grounded leadership, the tested and approved ability to lead others flowing from a godly life transformed by his Spirit and truly centered on the Word of God. The root word behind dokimos is dokeo, meaning to think, to reason, to judge. It is the presupposed capacity that fully engages the mind for both character formation and leadership service. In its broadest sense, this word describes the intellectual capacity and achievement that empowers a person with excellence of both the spirit and the mind in obedience to Christ and service to others. 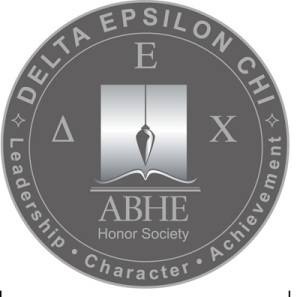 Thus as reflected in the name, selection for the Delta Epsilon Chi honor society is intended to encourage and recognize excellence in intellectual achievement, Christian character, and leadership ability.